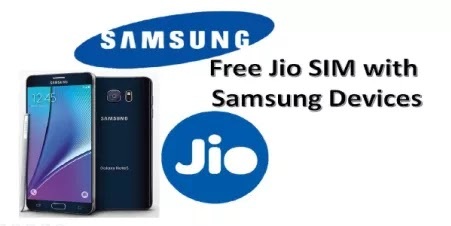 Samsung and Reliance Jio 4G have tied-up for a scheme, where users of top-end Samsung smartphones will able to get the Reliance Jio 4G SIM and use the data services for free for the next three months. Reliance Jio was currently offering the free data preview for the 4G SIM only with its Lyf brands of phones . Customers who had registered on the jio.com website, would get a preview code from the company, which could get used to get a Jio SIM with a Lyf phone. Now the preview offer has been extended to Samsung, although neither company has confirmed details. Galaxy A5, A7, (2015, 2016 series) Galaxy A8, Note 4 and 5, Note edge, and the entire Galaxy S6 and S7 series. How to Get Reliance Jio 4G SIM preview on your Samsung smartphone? First up, users have to download the MyJio app from the Google Play Store . Once you install the app, and if your phone is eligible for the phone, the first thing that pops up on the app screen is the offer. The Jio Preview offer says the user will get access to High Speed Video, Voice, Data, SMS and Jio applications for free for 90 days. Users have to generate a coupon, which is non-transferable and can only be used on the device for which it is generated. Post the offer period expiring, customers will have the option of continuing with Jio’s commercial tariff. A recent Economic Tariff report says, Reliance Jio will have a full-scale commercial launch by August and will bundle voice-services free with data at low prices. Users can also check if the offer will work in their area and then have to generate a code for 4G SIM. Once you generate the code, go to a Reliance Digital or a Digital Mini Xpress store, and submit documents like Identity and Address proof. Users then have to tele-verify the SIM to get it working. The whole process should take about 24-72 hours to get completed. How to Activate JIO 4G SIM in Samsung Devices? • Then you need to dial 1977 to activate your Jio SIM through tele-verification. • You will receive message on your mobile number and your email ID once the activation is complete. After you’ve activated the SIM, log into the MyJio App and use the code to avail the offer. Reliance Jio will focus on speed and low-cost data to boost its growth. The company owns 4G license across India, and will only provide 4G services when the commercial roll-out begins. In our testing, we’ve been getting speeds of above 15 Mbps, which is a lot more that other players offer currently. For Samsung users, who’ve been wanting to get their hands a Jio SIM, this sounds like a good offer right now.